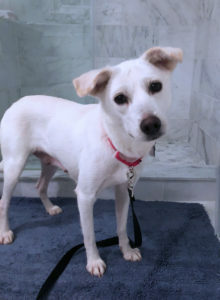 Clove is a beautiful, gentle soul who is learning to live in a home with people who love her. 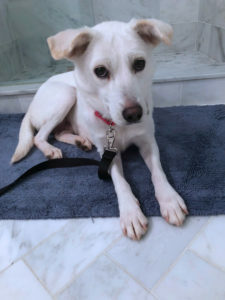 She was rescued from a Korean meat farm in October 2018 and brought to Lost Dog shortly thereafter. The world outside the one she knew in Korea is sometimes a very scary place for Clove. But she’s thriving in a foster home, and learning all sorts of cues that help her know what to expect. These include words like “touch” when foster mom is going to touch her somewhere on her head or body; “collar” when her collar will be handled; “leash” when her leash will be attached; and so on. 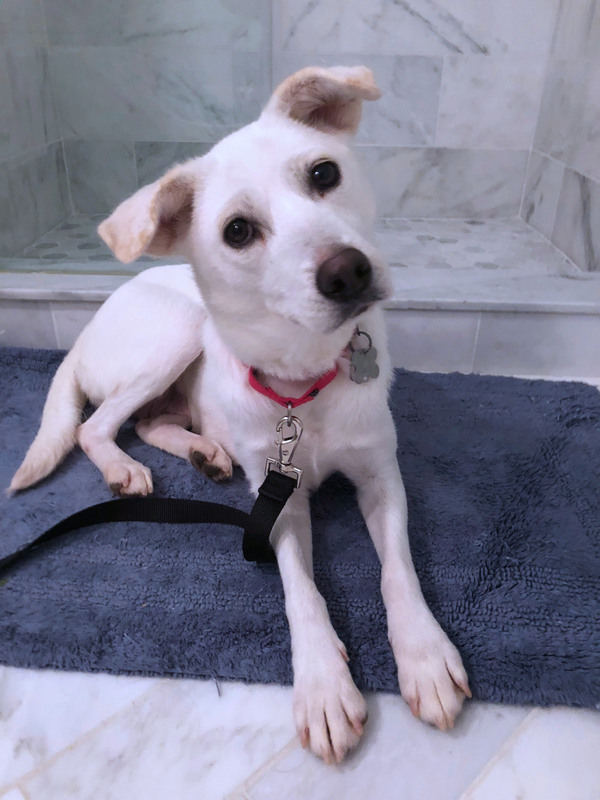 Clove will do best in a quiet home with a family willing to be patient as she learns to navigate this wonderful new world, and also take the necessary precautions to keep her safe, such as not opening doors to the outside without having a firm grip on her leash. There is something very special about helping a shy dog blossom into a dog who’s comfortable in the world around her, and Clove is on the cusp of being that dog. Could she take the final steps of her journey with you?